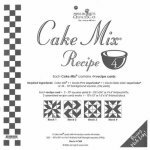 Jelly Rolls & Layer Cakes are on their way! New from Annie's Keepsakes - place mats for every season! Lotus - soon to be a class! The Healing Tree - make just one or all four seasons of this beautiful wall hanging pattern. 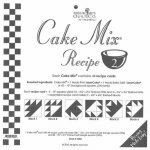 Cake Mix papers are all the rage for super easy half square triangles - leave it to MODA! 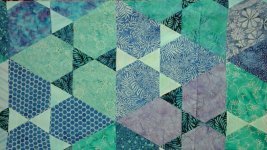 Long Time Gone, by Jen Kingwell, is a modern classic sampler quilt. It's not too late to sign up - just call 704-821-7554! Only 13 fat quarters makes this beautiful quilt! 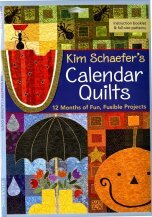 This is a perfect follow-up class for new quilters and a great ''go-to'' quilt for the accomplished quilter. Use coordinating prints or choose a monochromatic color scheme - whether it's seasonal or something to match your living room, this pattern looks good in every style. This frame wallet will definitely turn heads! You'll want to make one to go with every bag you have! You can even use it as a clutch. And don't worry about the zipper - it's easier than you think! Learn to make applique seasonal wallhangings, one month at a time! 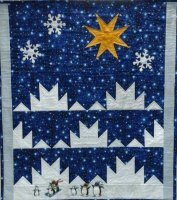 12 Seasonal wall quilt projects in one booklet, including full sized patterns! These are quick and easy applique designs, great as gifts (but keep some for yourself!). 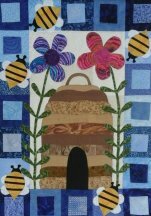 The May class will work on this adorable beehive to hang at home in June! Class meets on the third Saturday of every month. 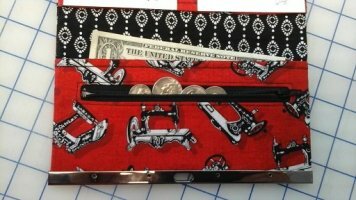 All retreat supplies are 15% off at Quilt Patch! 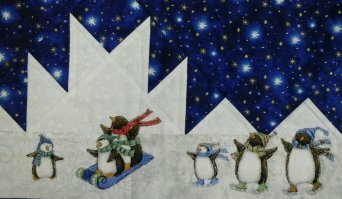 For more information contact deborahquilts@hotmail.com.